Thanks to the professional dual image processors, this camera delivers precise color reproduction and sharp images. The high quality video recording performance allows the capture of every precise detail. With the latest 16MP CMOS sensor, this camera has amazing performance for the finest details,providing far better fidelity than the current range of low resolution sensors. 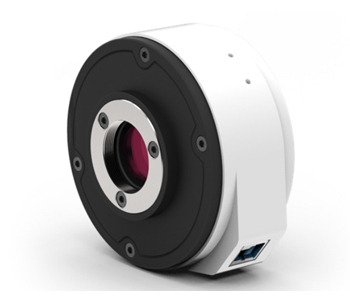 Even imaging a specimen under a 20x objective, this camera guarantees premium image quality. Embedded hardware binning and 3D denoise technologies result in this camera’s surprising performance in low light applications. this camera is capable of delivering remarkable image quality even in low light or weak light applications. This camera has an integrated 1900-8000K color temperature adjustment. This feature, which has previously only been available on high-end scientific cameras, significantly improves the white balance, delivering incredible color fidelity in the original image, eliminating the need for any post processing. this camera creates stunning visual effects for different samples and different lighting sources, always giving true to life images. The built-in USB3.0 interface of this camera transfers image data at ultra high speed, which enables users to find and focus easily, even at full resolution.